Make Your Big Move. 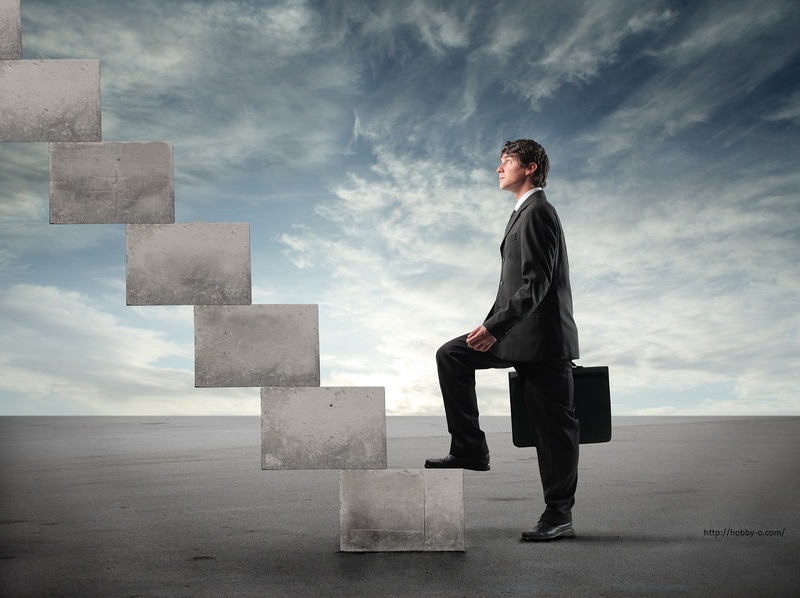 Five Tips For Climbing The Career Ladder This Year. Want that promotion? Need a bigger role? Time to try something more challenging? There are a number of reasons why you would want to climb the career ladder. But to do so successfully won’t be the result of one action or decision. For most deserving employees, it is the result of daily practices and behaviours. Be positive: An enthusiastic, forward-thinking attitude will go a long way to securing a promotion. Your employer is bound to take note of your attitude, whatever it is. A negative attitude can hold you back as your employer might decide that, while your work is good, your attitude isn’t good for company morale or makes you a difficult person to mentor. And no one wants a superior with a bad attitude so if you want a position of responsibility, where others report to you, then you need to show that you can lead by positive example. Get involved: If you just focus on your own work, you may be passed over for other positons or projects that don’t automatically include you. Show interest in what your colleagues and superiors are working on and don’t be afraid to offer your own ideas and suggestions. If you’re told your ideas aren’t going to work, turn this rejection into a learning experience and ask why this is the case, educate yourself further, and think about how you could still contribute. Getting involved in this way will show others that you are interested in doing more than what is required of you in your current role. Keep a success record: Time passes quickly and you may forget about your achievements or work successes sooner than you think – and so may your superiors. If you want to climb that ladder, you will need concrete examples of the work you’ve done and what you’ve achieved so far. Your success record could include a portfolio of your best work, notes on project achievements and solutions, emails from satisfied clients, sales results, whatever works best in your field. Information like this can be particularly useful at annual review time, if you are pitching for a promotion, or if you are looking for a new position in another company. Dress to impress: Whether we like it or not, we live in a visual society where first impressions count. If your company has a dress code, follow it at all times. Otherwise, make sure you dress appropriately and in a way that will make others treat you seriously. Better yet, dress for the positon you want – consider how your superiors dress and copy them. You don’t have to wear expensive clothes – clean, neat, appropriate clothing will go a long way to making the right impression at work. Network, network, network: If you are looking to move up within your own company, networking refers to establishing and maintaining professional relationships within your workplace. This means showing a genuine interest in the lives and work of those around you. Being social also helps – set up a weekly work lunch or a group activity designed to help colleagues get to know each other better. This will get you noticed in a positive way as someone who wants to contribute more than just their daily tasks. A word of warning – avoid creating social situations that cast you in an unflattering light – having your boss see you after one too many drinks will not help create the favourable impression you need to be taken seriously at work. If you are looking to move into another organisation, networking in a more traditional sense can very helpful. Engaging in networking meetings and maintaining business relationships with peers in different organisations will keep you top of mind should suitable positions come up in those companies. You do not need to have a scheme or be sneaky to climb the career ladder. Simple and straightforward behaviours like a good attitude and actions that show your involvement and interest will go a long way to helping you achieve your career ambitions. Top Tips For Streamlining Your Company’s Recruitment Strategy.